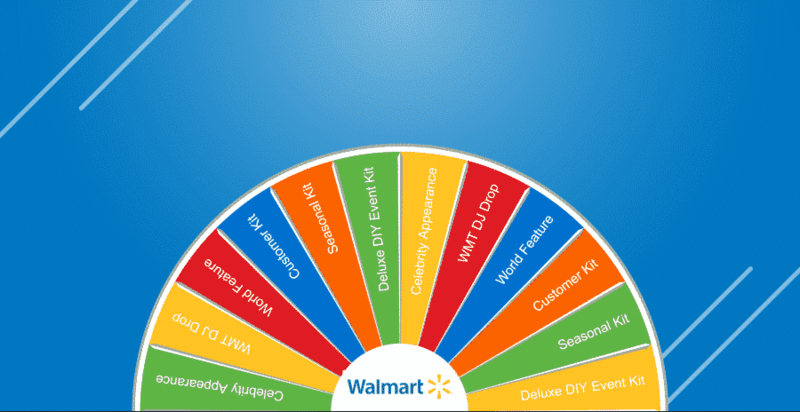 The new templates add a 3-D semi-circle that wraps around or even overshadows the prize wheel. 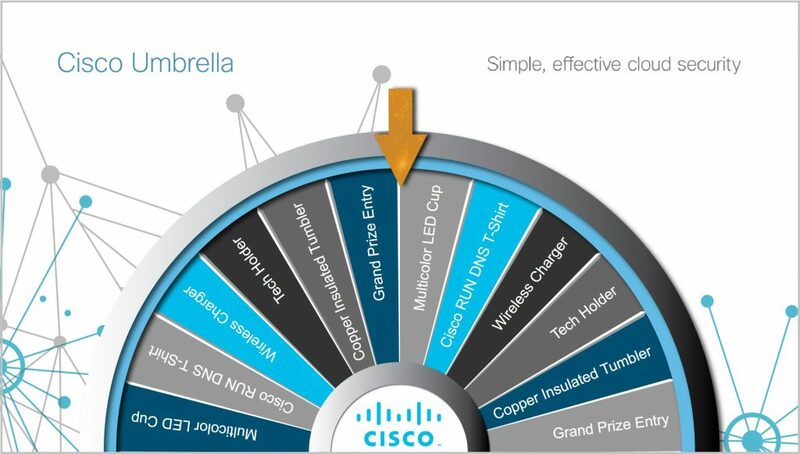 The Virtual Prize Wheel examples shown feature either a metallic or wood look. 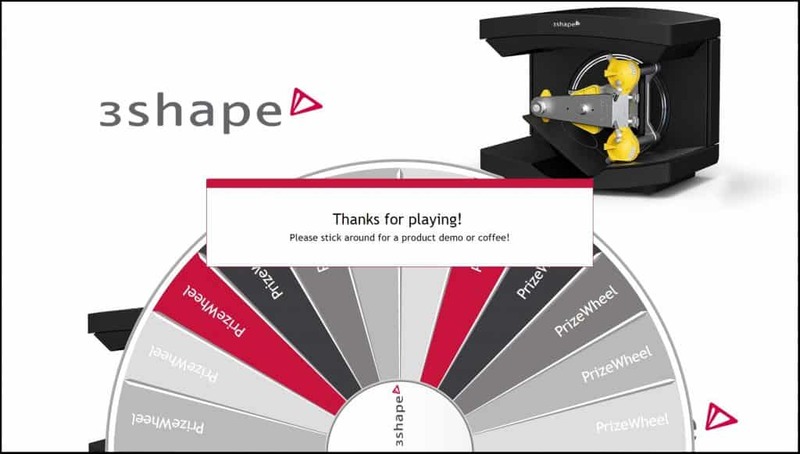 Also, there is a pointer layered over the rotating wheel that better mimics a physical prize wheel. 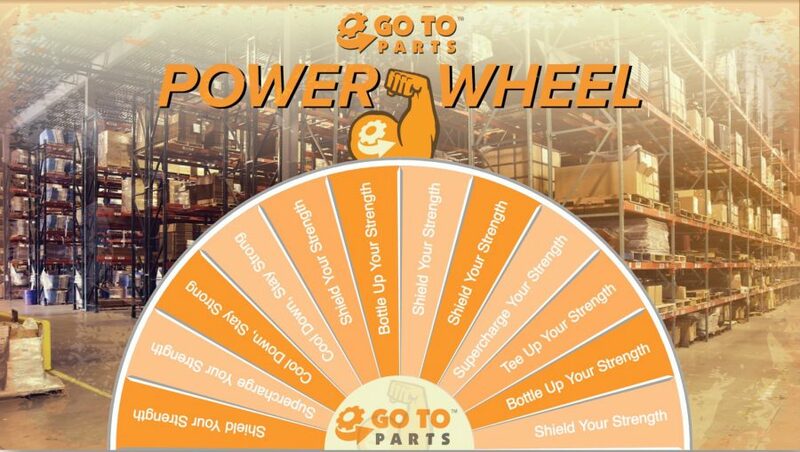 The center of the wheel can also be customized with a graphic object that can layer above the wheel slices. 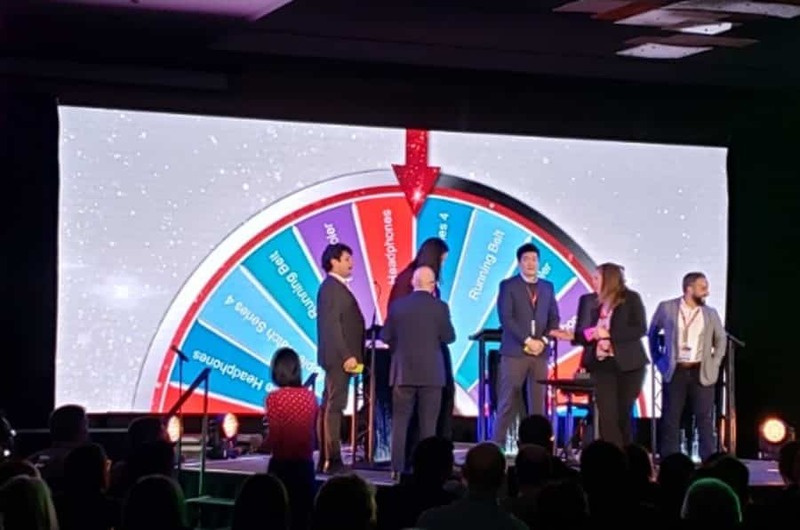 Below you can see two client examples and two templates, including one huge prize wheel drawing held on stage at a sales meeting for the contest finalists. These three examples are some of the most dramatic designs. They feature a full-frame lifestyle photo background that showcases the exhibitors’ offerings. If you go this bold route, consider having exhibit graphics that promote your game. 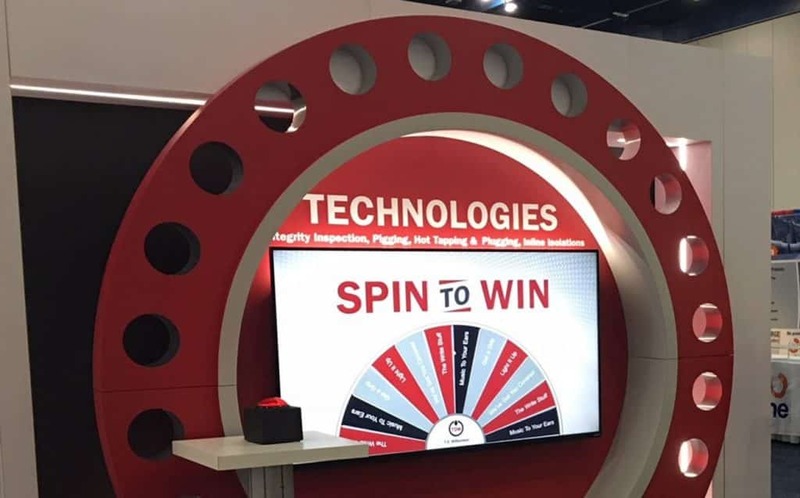 Some exhibitors put “Spin To Win” in big bold letters on their prize wheel, to make it perfectly clear to passing attendees what’s going on in their booth. 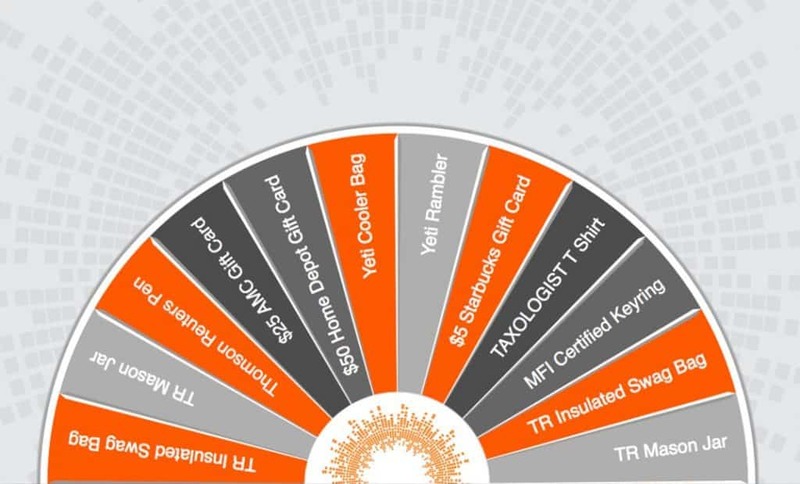 Here are three representative Virtual Prize Wheel examples. 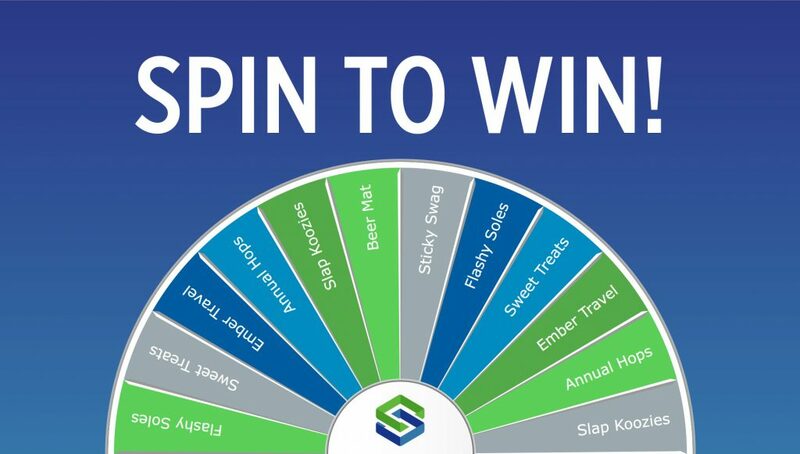 Some exhibitors will put the “Spin To Win” or “Play To Win” on their exhibit graphics instead – check out the last example in the Vertical Virtual Prize Wheels below. Some exhibitors keep their Virtual Prize Wheel nice and simple, for flexibility in using it at multiple events throughout the year, or because they are relying more on their booth graphics. 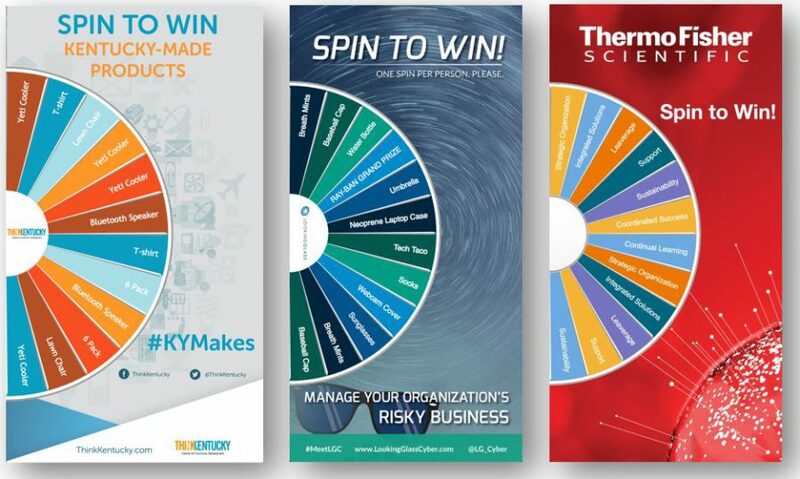 These exhibitors combined multiple design elements, such as full-frame background photos, headline text, product or other photos, plus company or event logos. Depending on how you design your exhibit structure, a vertically-oriented TV monitor may work better, as for these 5 examples. Many of these examples combine multiple design elements, including photo backgrounds, headlines, logos, and even social media hashtags. 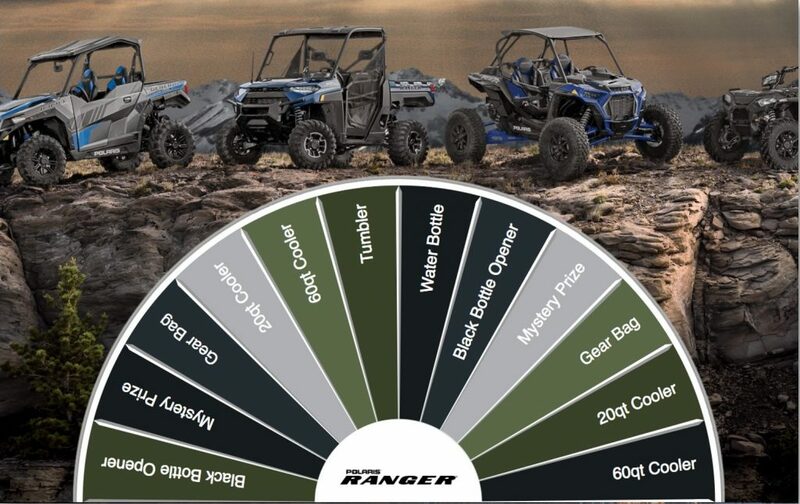 All the previous examples were for Virtual Prize Wheels on big, flat screen TV monitors. 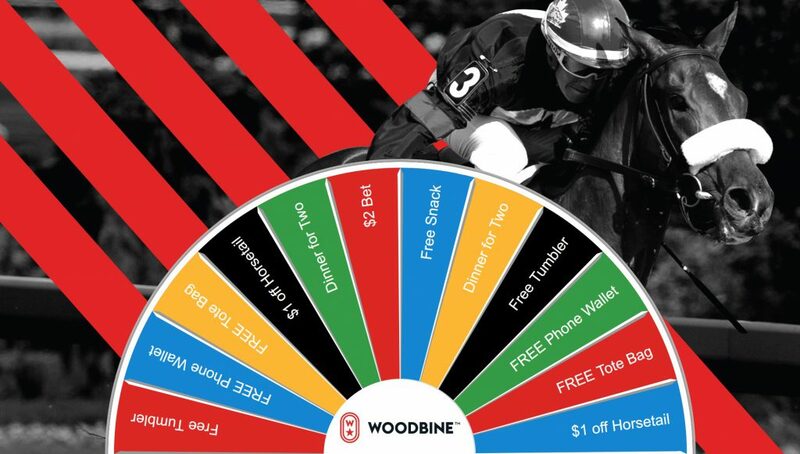 Our Virtual Prize Wheel can also be put on one or more iPads in your booth. This is especially true for exhibitors who want to capture lead data with their game players, or know who won what prizes. 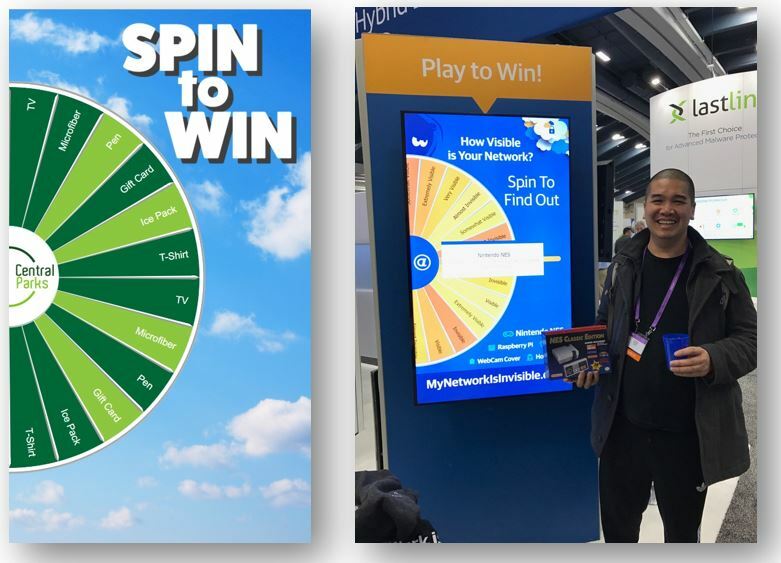 These two examples show the splash screen promoting the game, before attendees self-enter their data and then spin the wheel. 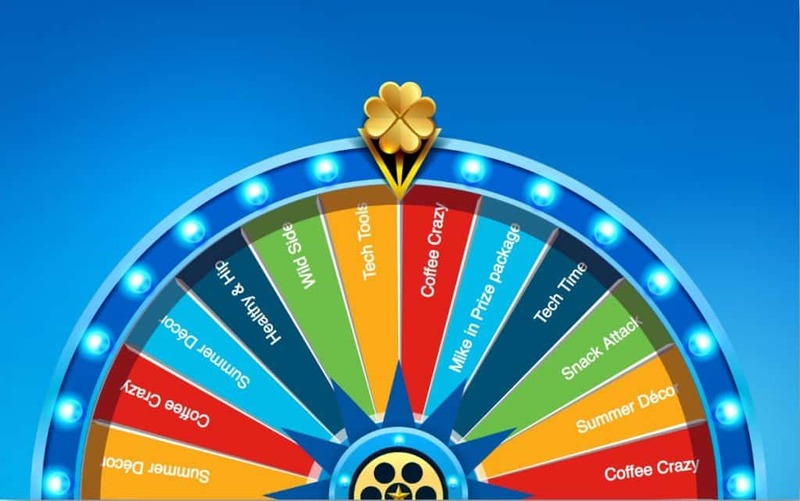 Our Virtual Prize Wheel game gives you an enticing digital activity to get more people into your booth. 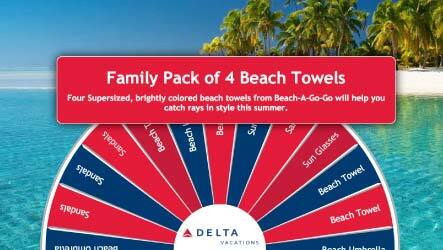 You can customize it in many ways to match and promote your brand. I hope you’ve been inspired to start designing yours. 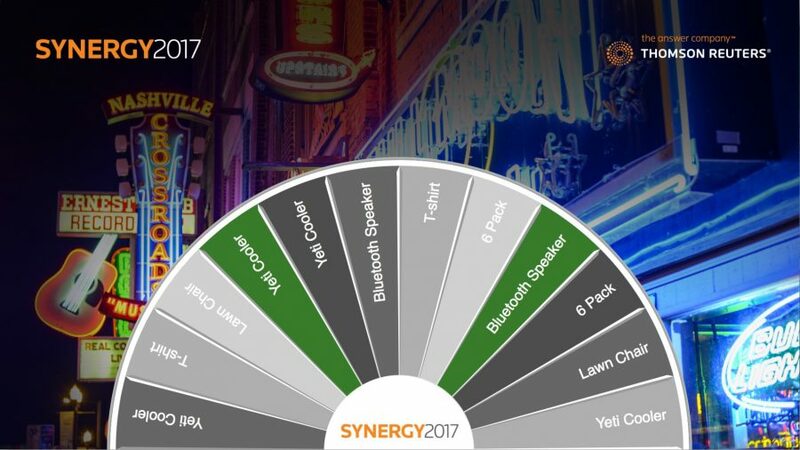 Get more booth traffic! 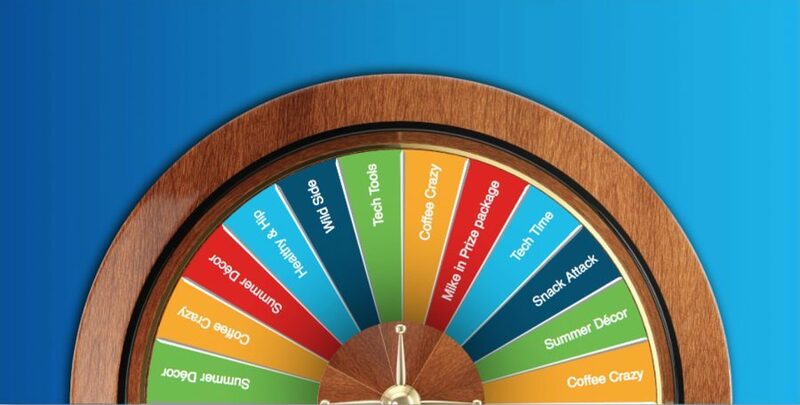 Our fun, attractive games draw in attendees who enter their own contact and qualifying data to play for prizes! After the show you get easily exported leads & performance metrics.